The following is an excerpt from an article on LDSLiving. To read the full article, click here. 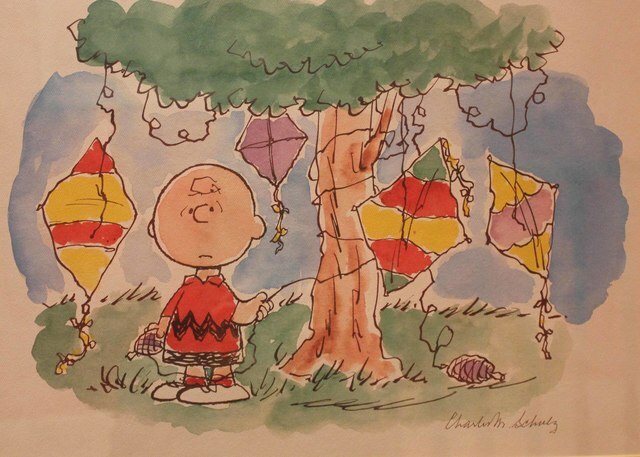 Charles Schultz had plenty of cartoons with scriptural references and insights.Years ago, a young student analyzed them in a book. I saw one the other day. Lucy was looking out of the window at the constant rain and exclaimed that there was going to be a flood from all of the rain. I forget if it was Charlie or Linus who then told here that the rainbow was the sign that the world would never be flooded again by God. She expressed great relief, at that, and Charlie ( or Linus) said "True doctrine has a way of doing that."